Talk Of Delaying Brennan Nomination 'Unfortunate,' White House Says : The Two-Way Republican senators have said they may try to hold up John Brennan's nomination to be CIA director until they hear more about the attack on the U.S. mission in Benghazi and more about his views on "enhanced interrogation." 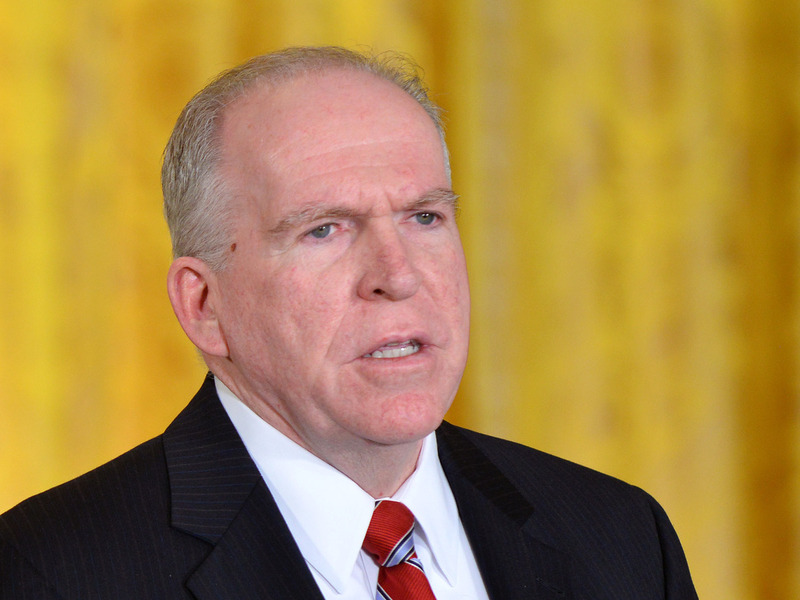 John Brennan, President Obama's nominee to be the next CIA director. While the nomination of former Sen. Chuck Hagel, R-Neb., to be secretary of defense has drawn opposition from groups who question his views on policy toward Israel and Iran, the nomination of White House counterterrorism adviser John Brennan to be CIA director may be delayed by senators who want to know more about last September's attack on the U.S. mission in Benghazi, Libya. "Said the Senate should not confirm any Obama nominee for the nation's top spy post until the administration elaborates on the attack on the diplomatic mission in Benghazi," The Associated Press writes. "He added that the administration's 'stonewalling on Benghazi' must end." " 'This question was answered, I believe, in briefings on the hill,' White House press secretary Carney said, noting that it was edited in the process of declassifying classified information.
"' It would be unfortunate, I think, if in pursuit of this issue, which was highly politicized, the Senate would hold up the nomination of John Brennan to be director of the Central Intelligence Agency.' "
As The Hill has reported, Republican Sen. John McCain of Arizona has "also indicated he might look to block Brennan's nomination over concerns about so-called "enhanced" interrogation techniques at the agency. 'I appreciate John Brennan's long record of service to our nation, but I have many questions and concerns about his nomination to be director of the Central Intelligence Agency, especially what role he played in the so-called enhanced interrogation programs while serving at the CIA during the [George W. Bush] administration, as well as his public defense of those programs,' McCain said." McCain was tortured when he was a prisoner during the Vietnam War.